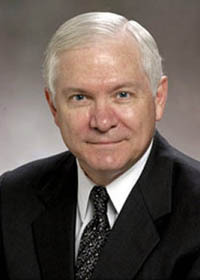 To set calm between Sen. Hillary Rodham Clinton and the Pentagon over planning for the withdrawal of U.S forces from Iraq Defense Secretary Robert Gates wrote to the Democratic presidential front-runner. In the three-page letter, obtained by The Associated Press Thursday, Gates sought to both agree with Clinton that congressional oversight of military planning is needed and at the same time defend his undersecretary of policy, Eric Edelman. "I truly regret that this important discussion went astray and I also regret any misunderstanding of intention," Gates wrote. "I agree with you that planning concerning the future of U.S. forces in Iraq - including the drawdown of those forces at the right time - is not only appropriate but essential," Gates wrote, adding that Edelman also agrees with that point. "You may rest assured that such planning is indeed taking place with my active involvement," he wrote in the letter. The weeklong back-and-forth underscored the escalating animosity between the Bush administration and the Democratically controlled Congress in the standoff over Iraq policy, and the center seat the divide holds in the 2008 presidential elections.